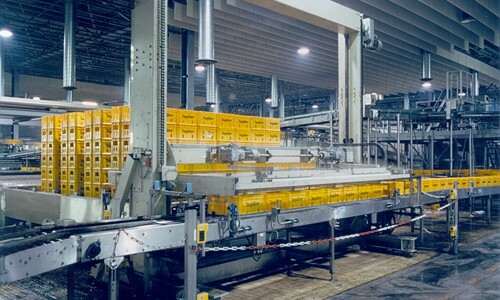 Creates a balance between the de-crating and crating of a bottle line. 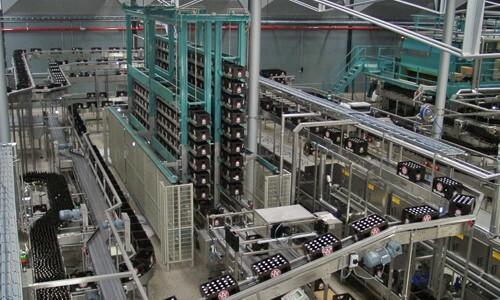 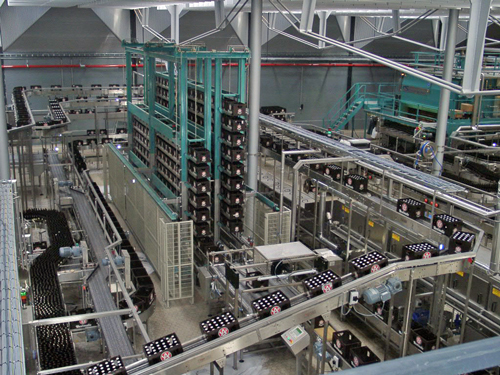 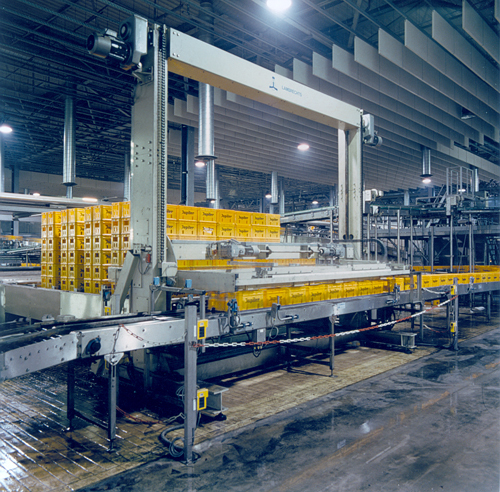 The built in PLC organizes a buffer up to an average of 260 crates per line. 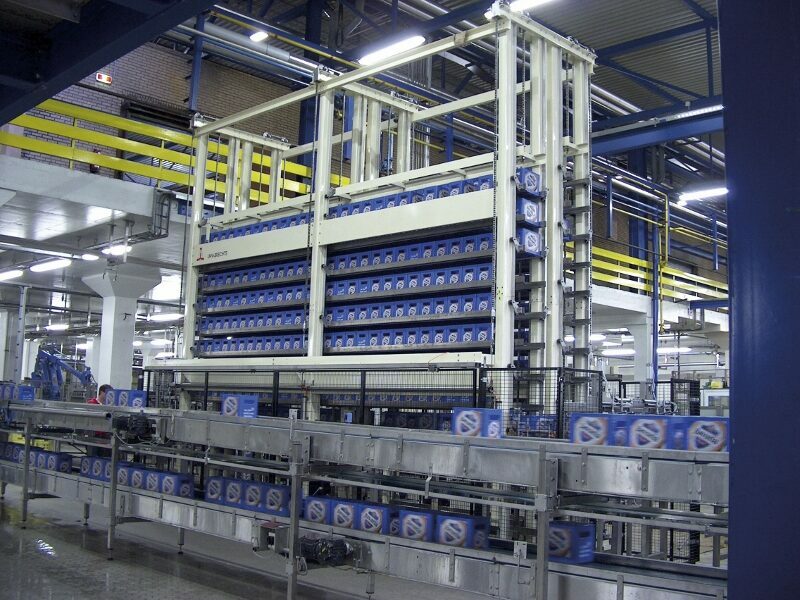 This provides an optimal system to allow efficient line capacity and picks up the slack in the case of regular slow downs.